Called a "security fence" by the Israeli government and the "apartheid wall" by Palestinians, the barrier currently under construction in the West Bank has been the subject of intense controversy since the first olive tree was uprooted in its path. In violation of a ruling by the International Court of Justice and a resolution by the United Nations General Assembly, the structure juts deep inside Palestinian territory, altering not only the geographical landscape, but the political one as well. This groundbreaking book includes a collection of outstanding original pieces, along with photographs and maps, that offer a frank critique of the wall from a range of perspectives--legal, historical, architectural, and philosophical. 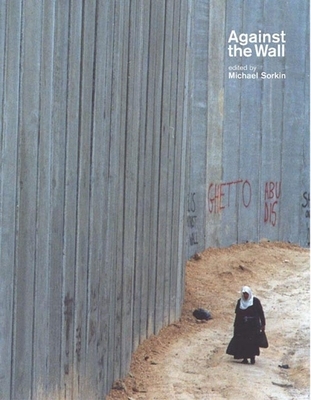 Renowned writer and architect Michael Sorkin has assembled commentary from various international experts, including both Israeli and Palestinian voices. Together they reinforce a view widely held around the world (though not by the government of the United States): Israel's wall can act only as a barrier to future peace. Contributors include: Suad Amiry, Ariella Azoulay, Terry Boullata, Mike Davis, Sari Hanafi, Stephanie Koury, Dean MacCannell, Ruchama Marton, Adi Ophir, Rebecca Solnit, Anita Vitullo, and Eyal Weizmann. Michael Sorkin is an award-winning architect, director of the Graduate Urban Design Program at the City College of New York, and former architecture critic for the Village Voice. His previous books include The Next Jerusalem and After the World Trade Center. He lives in New York City.